To provide you ease in getting down to the certain part of this Nikon D3 User Manual article directly, here we enclosed the Table of Content of this article. With this Table of Content, you can access certain information of this article directly by clicking on the Table of Content Points below. A manual is something important for an electronic product such as digital camera. In this manual, there will be a lot of information stored. This information covers many aspects of a camera such as specification, features, instructions, setting, camera parts, and others. So, for those who are about to learn the camera product deeper, the manual book could be the best reference to take. Well, this is also what motivates us to provide the Nikon D3 User Manual in this page. And with this user manual, we hope that we can provide users the most reliable information about this camera product. Before getting down to the Nikon D3 User Manual, now we will talk about the specification of this camera product first. And to begin with, the overall look will be the first thing to discuss. We all know that the competition between digital camera manufacturers is getting hotter day by day. They fight each other by releasing their superior products. Every single manufacturer promises the superiority on their products to catch the society’s attention, so does with Nikon. Nikon placed their self as the frontrunner of camera provider with many excellent products. 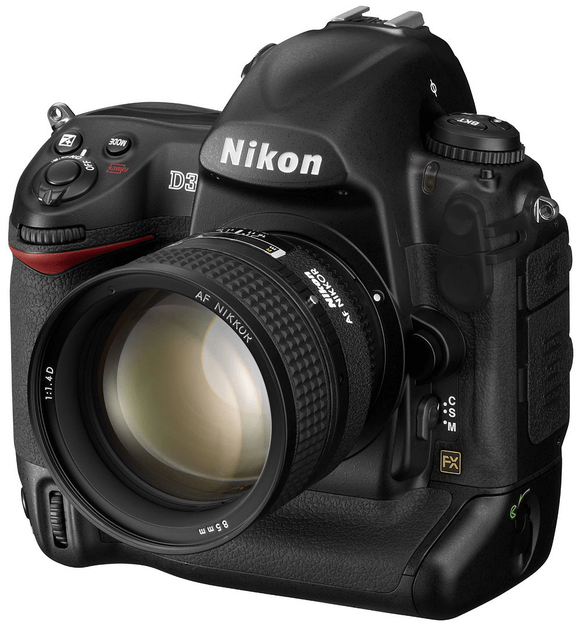 And one of the products that you need to watch is Nikon D3. This camera comes with futuristic design with magnesium alloy as the main material. Based on the experiment, this kind of material is working well in blocking the dirt and can be used in extreme temperature. Further, as mentioned before, Nikon D3 has futuristic look with 6.3 x 6.2 x 3.5 inches dimension. This stylish preference also has light weight that is for about 2.73 lbs. Realizing those two things, it won’t be difficult for you to bring this monster everywhere and every time. Moreover, in the power supply sector, Nikon use Lithium Ion Rechargeable battery type EN-EL4a which is well known as one of the most long lasting batteries in the world. Nikon realize that the LCD Display is crucial, for that cause, they set 3 inches LCD Display with 7.6 cm in diagonal size. With this LCD, you will be able to review the proto result in a clearly bright view screen. Talking about Specification, you will be able to get more detail information about this camera specification in the Nikon D3 User Manual. But, in order to give you simplicity, here we have resumed the Nikon D3 User Manual into simply short explanation of Nikon D3 specification. As one of the frontrunners product, this camera is set with 12.1 megapixels camera sensor resolution. It means that there are at least 1.210.000 pixels inside your camera. Moreover, the manufacturer also adds CMOS technology as the optical sensor type which works fine in creating outstanding photos. Still form the Nikon D3 User Manual, there will be EXPEED Technology as the main image processor in this gadget. This software is able to process the image rapidly. Further, this device has also certified by Windows Vista, which means that this camera will be compatible with Windows Vista operating system. More interestingly, Nikon also gives tight competition by giving Live View feature on its LCD screen. It gives you the ability to make live review on what you take. And in the connectivity sector, you can utilize Wireless Transmitter WT-3 to transfer the file. But, it is still way much better than using data cable. Moreover, to give you the better view about this camera product, here we enclose the video review of it. This video comes form Official DigitalRev TV account on Youtube. in this video, there will be many information shared. So, for you who still learn about this camera product, referencing to below video will be the best way to take. With all that superiority, Nikon D3 has 4,999 USD price tag for global price. The price might be different in certain places. To ensure that you are going to make a good decision, it would be better for you to read the review from D3’s users. The first review comes from Carl Maiorino on May 2, 2010. He said that this product is the finest camera he ever used. There is nothing even comes close. Moreover, Peter Cat adds that D3 is nice, solid, and not too heavy. The aim of this article is to bring the Nikon D3 User Manual on to the surface. That’s why you will be able to find the manual in below attachment. With this manual, we hope that we can help user and enthusiast by providing them the reliable information about this camera product. And if you are one of these users or enthusiasts, you can download the manual below as a reference. But, before downloading it, there will be one thing to note. Here, we will provide the Nikon D3 User Manual in PDF. So, before downloading it, make sure that you have installed PDF reader software in your personal device first. Well, that’s all of the information regarding to the Nikon D3 User Manual that we need to share. If you have any other ideas or opinions about this product, you can put them in the comment session below. With your ideas, we’re sure that this article will be more reliable and well-constructed. Further, if you think that the information above is informative and beneficial, it is free for you to share it in your page. So, the benefit inside this writing can spread in a wider range of audience.